By Tom Conroy and James Hastings. Not your typical terminal program. Basically a chess game that can be played with two people over a modem. Full docs included. 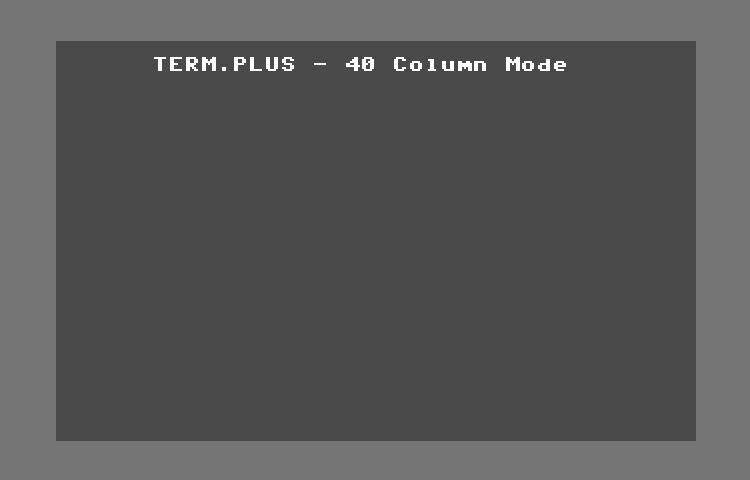 This program makes the c64 operate like a semi-intelligent 40 or 80 column ASCII terminal. Docs included. 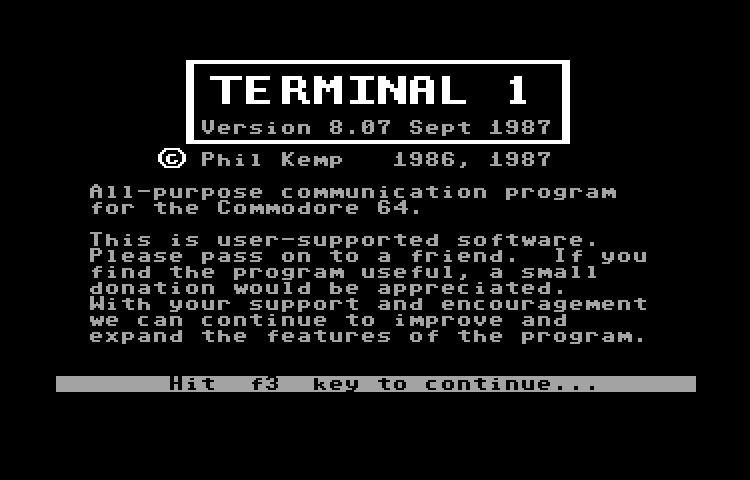 Phil Kemp, Sept. 1987 - All purpose communications program fro the Commodore 64. 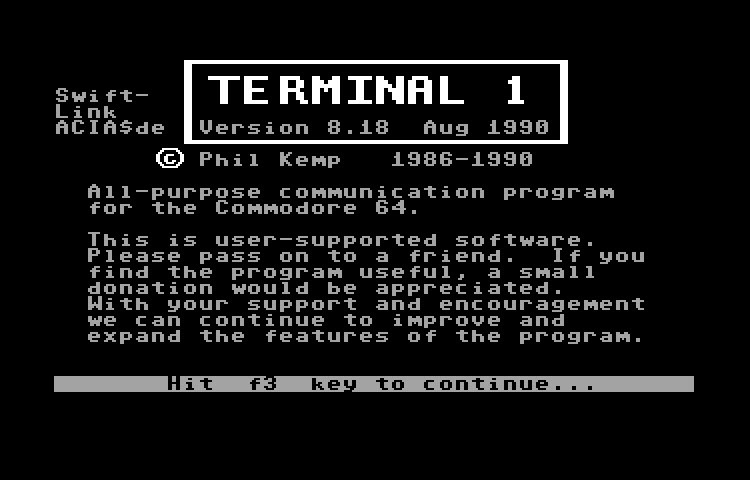 Terminal 1 v8.14 by Phil Kemp, released May 1989 - Very capable terminal package that had a lot of development over the course of it's life. The whole program takes 3 disks if that tells you anything about it's wide support for various hardware. 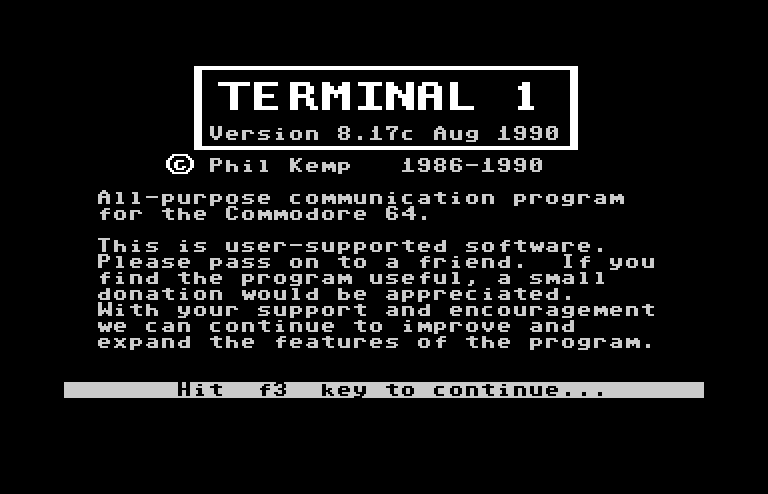 Terminal 1 v8.17 by Phil Kemp, released August 1990. This is possible the last version of this program that was released and it doesn't seem quite finished. Phil Kemp, 1990 - Support for Swiftlink, RAM expansion, Punter tranfers, etc. 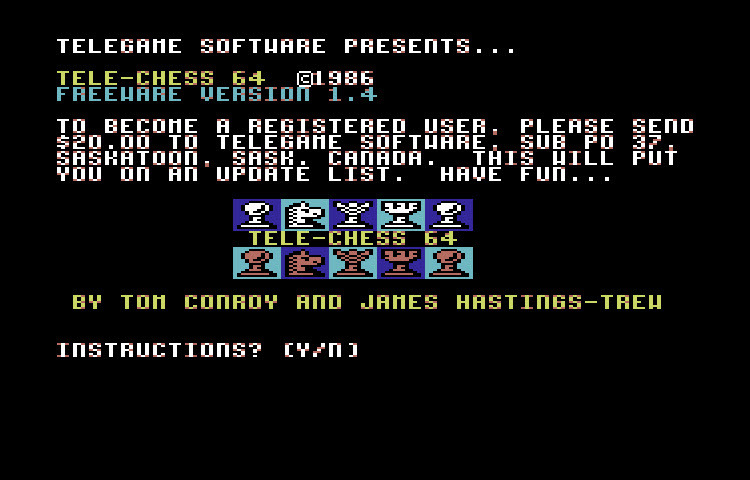 Original program by Steve Punter, converted to C64 by Keith Peterson. 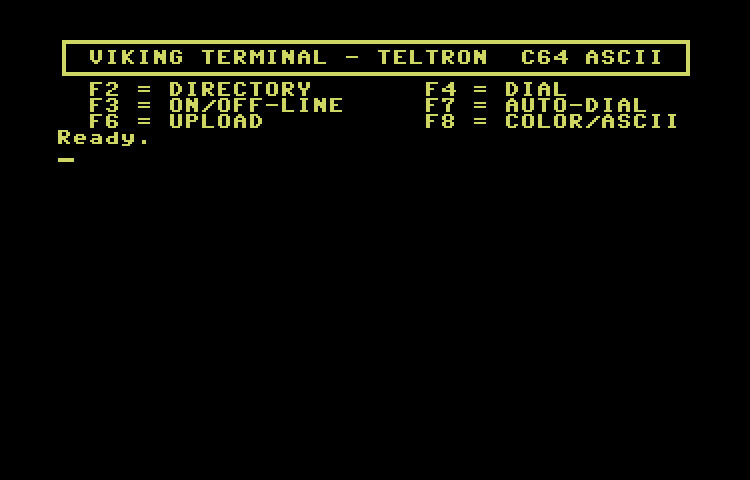 Very basic terminal program. 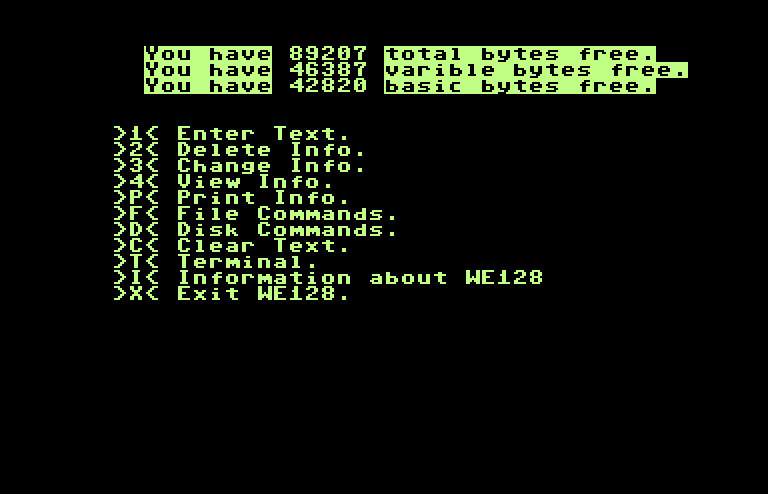 Very basic terminal program with Punter file transfer support, Source shows code is from October 27th, 1984. A Punter 10 Term by Gary Patricks. 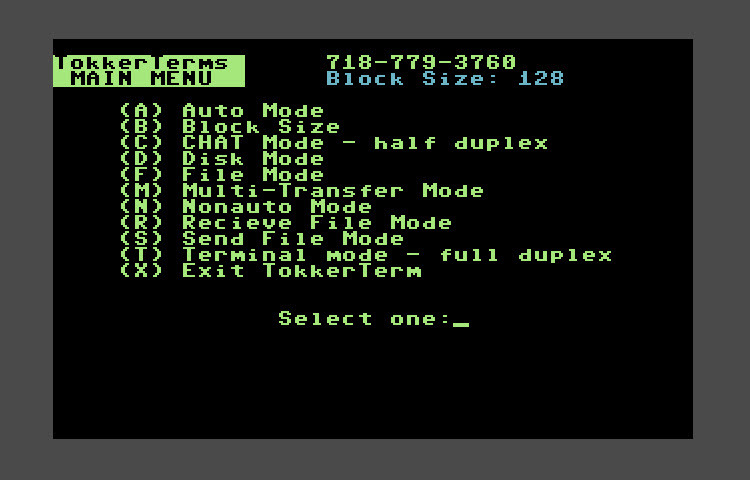 Nice 55808 Byte buffer, 1200 baud, C/G Mode, 40/80 Column modes. Tom Hughes, 1986. 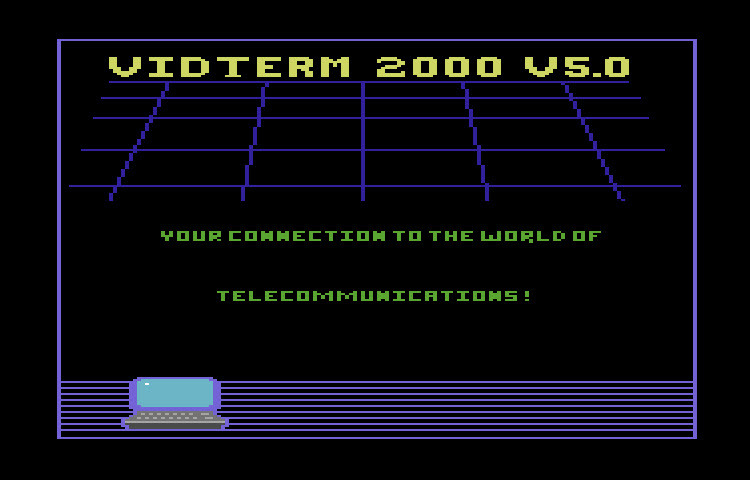 This appears to be an updated version of SecondTerm v1. This appears to be a modified version of EagleTerm. 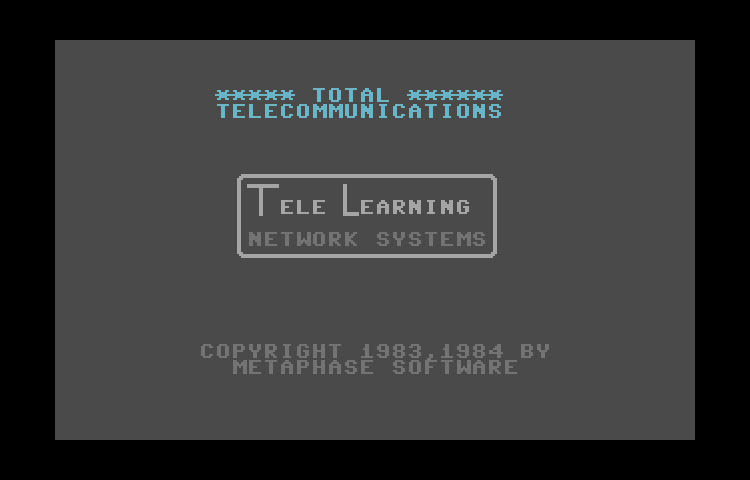 1983,84 By Metaphas Software. This came bundled with several types of modems. 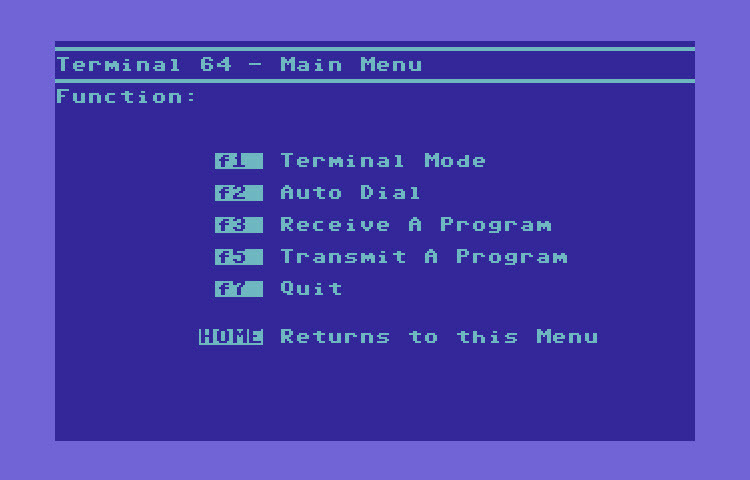 C64 terminal program supporting 300 baud and color graphics. Another interesting feature of this program is that you can play music while connected to a BBS. 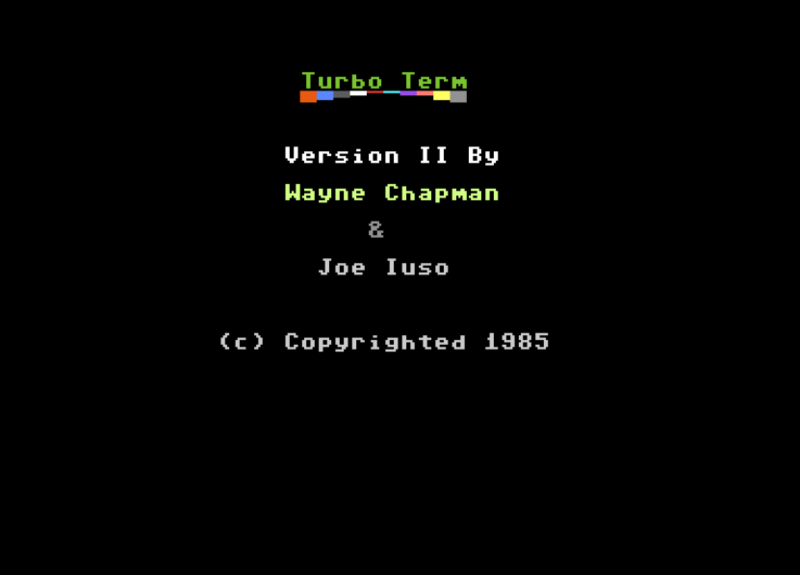 Turbo Term II by Wayne Chapman & Joe Iuso is a terminal program from 1985 that mainly support the C= 1650 modem but also other RS-232 modems. Lots of features and built-in documentation. Programmed by Bill The Cat. 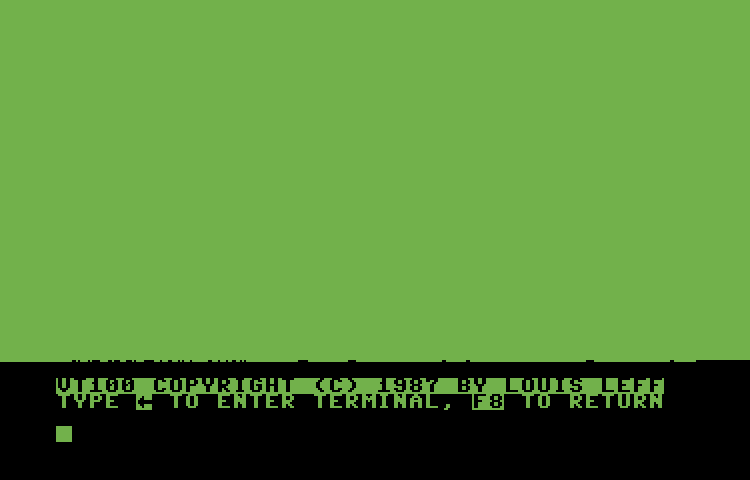 It appears this terminal program was written to possibly accompany a BBS program because the author also ran a BBS called Ultima The BBS, go figure. Thanks Moloch for providing this version. This is an older version of Ultima The Term, but because the author (Bill The Cat) apparently doesn't use version numbers I am guessing at it's age based on the in program credits and different command key menu. 1986 by Ray Jenkins. This is a pretty nice term program. 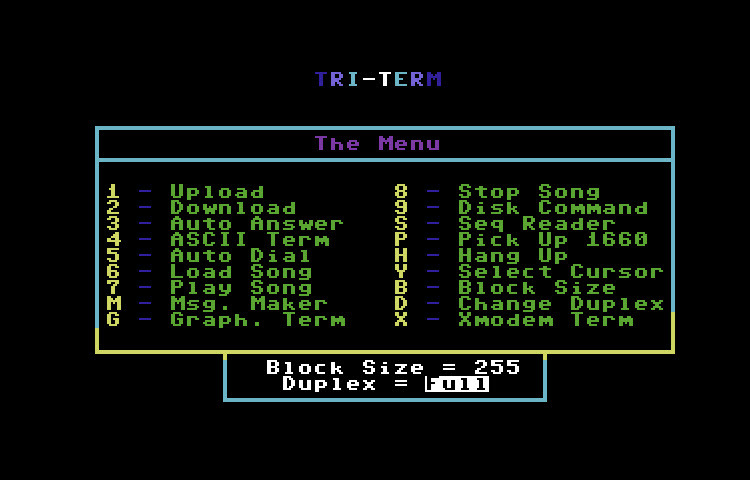 Features 300-1200 baud, C/G mode, punter transfers and more. Small, lightweight c/g capable terminal program. Not much info on this program, sorry. 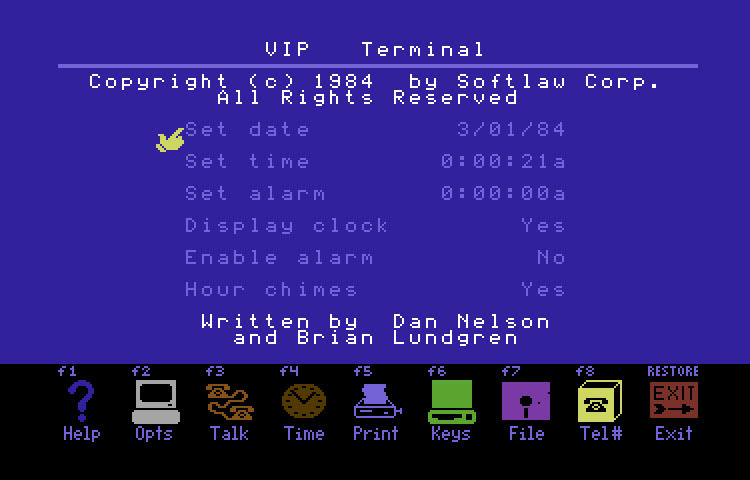 VIP Terminal 1984 - Written by Dan Nelson and Brian Lundgren. This is an Isepic version. 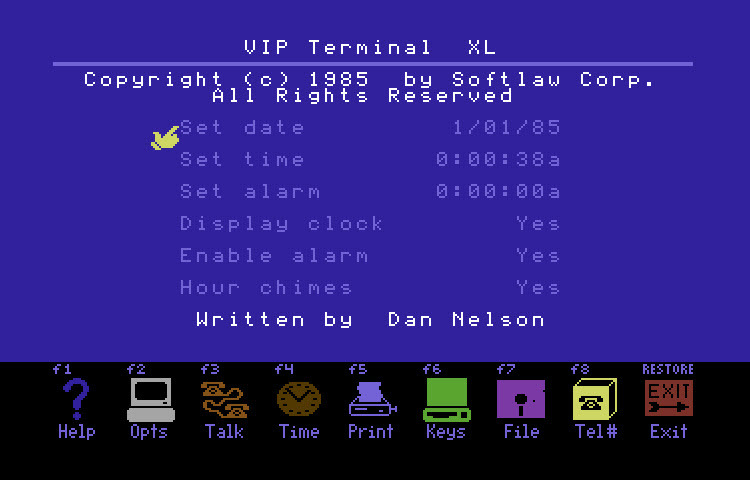 Although this is an Icepic'd version, all of the extra terminal utilities are on the disk including the full docs. 1986 by Guill Grace. 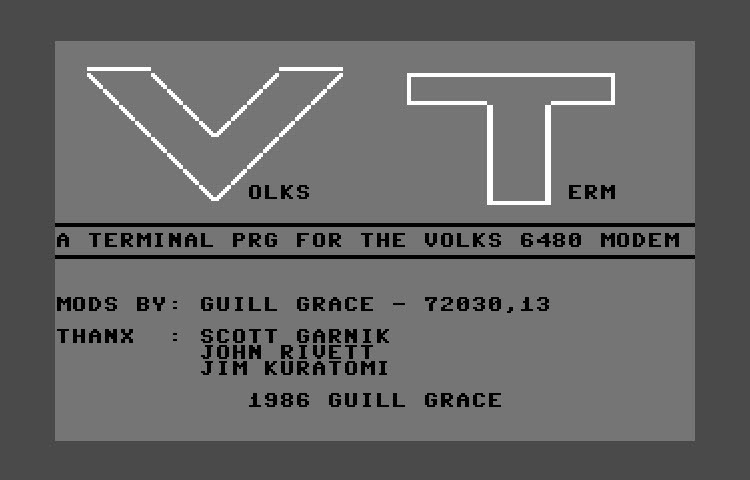 This terminal program was specifically designed for the Volks 6480 modem. 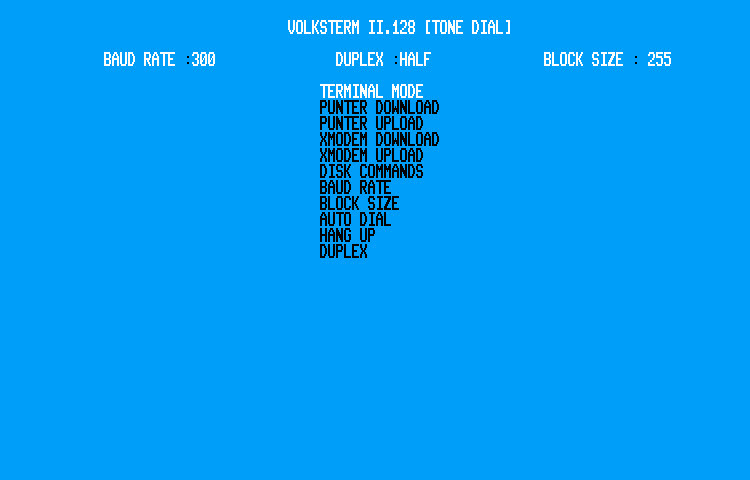 Created by Wayne Holness, Volksterm II for the Commodore 128 was written specifically for the Volks 6470 & 6480 modems. 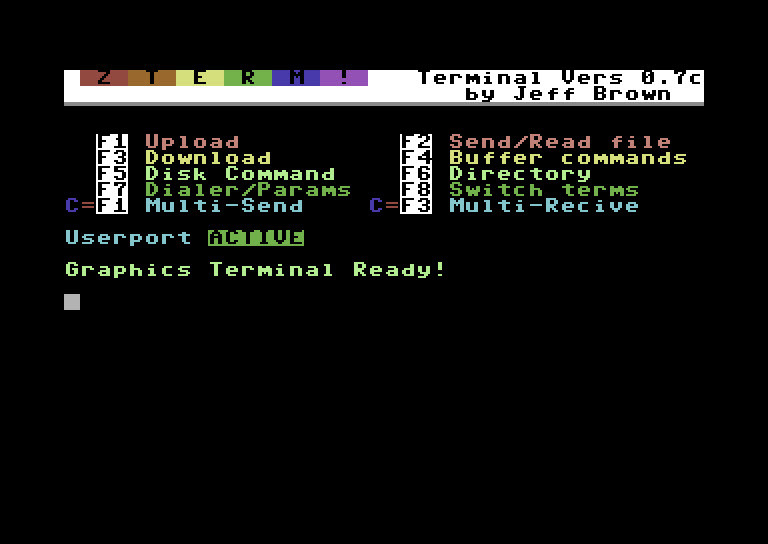 Neat little vt-100 terminal program. Only 16 blocks and mostly ML. 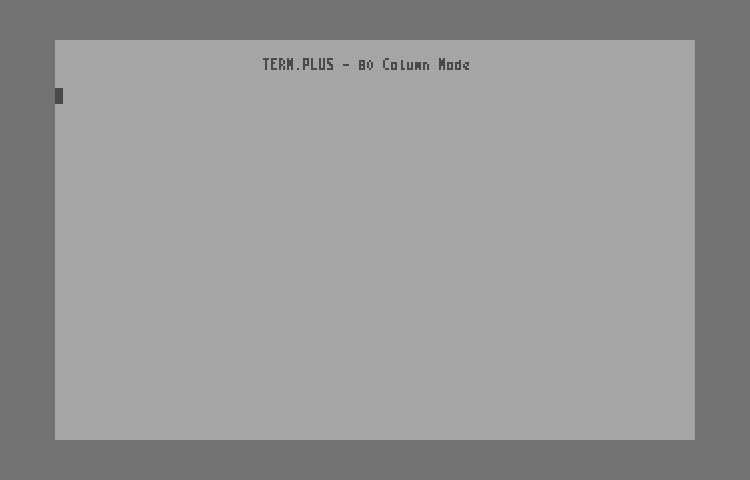 Don't think this dials out or anything, just a simple 80 column vt-100 terminal emulator. 1985 Microtechnic Solutions. 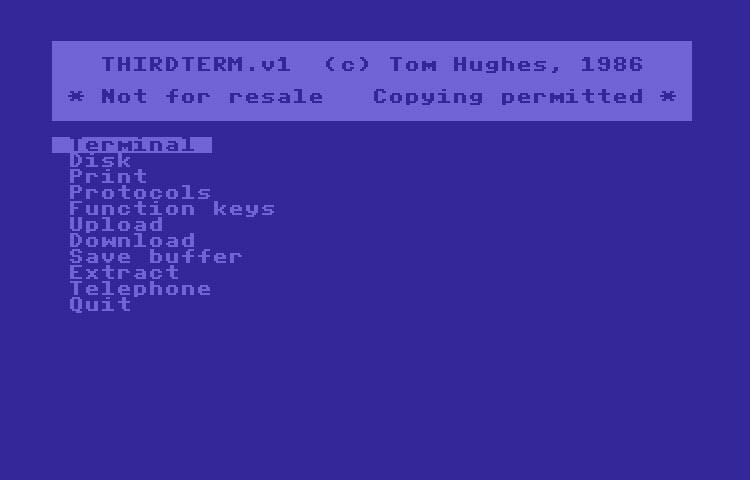 Written by Joe O'Hara - not exactly a terminal program you would use for BBS calling, but works well with services like Tymnet and Telenet. 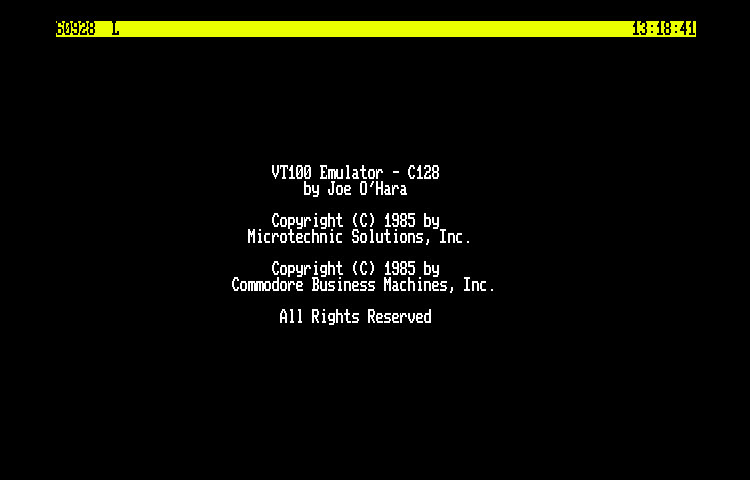 1985,1988 by Commodore Business Machines. Version 2.1 by Fred Bowen. Extensive full documentation on the disk. Written by Louis Leff in 1987. 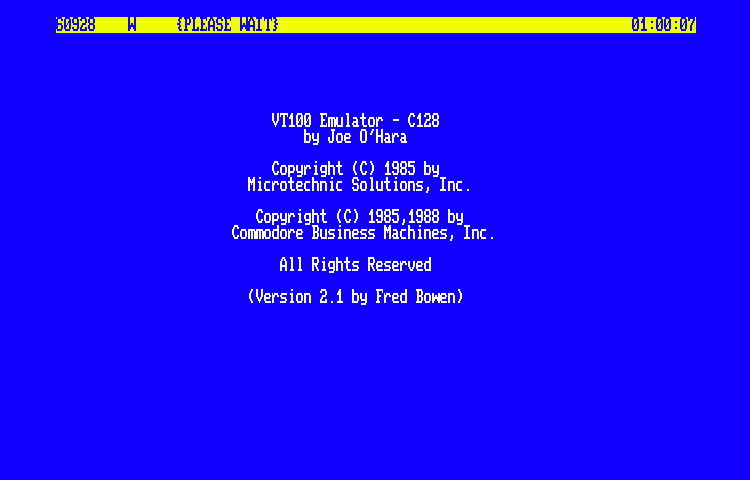 VT100 C64 is a complete VT100 terminal emulator for the C64 written in Blazin' Forth. Docs are included on the disk. Although the screen shot looks odd, that is how the program looks when launched. Release 12 of VTermite - Formulated by Janne Karila, 1986-87. WE128 v1.0 was written by Anthony Cogan. Although I have this in the terminals section, honestly I have no idea what this program is really supposed to be. It does have a built in terminal, but it seems more like a database or text editor. Email me if you have any further info. 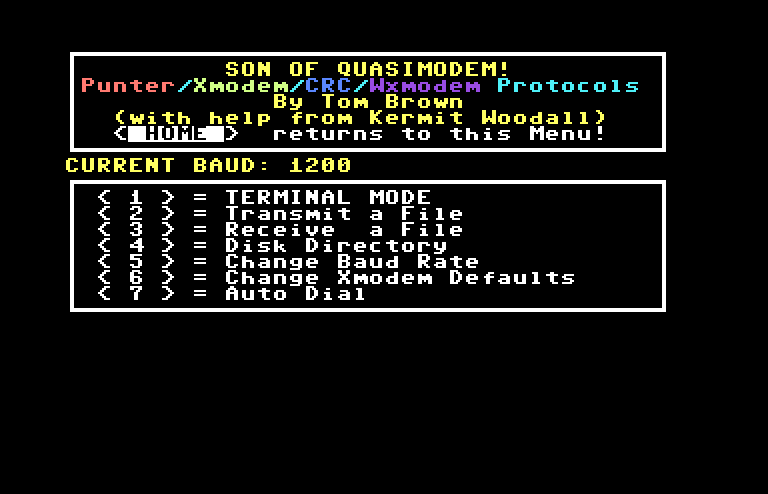 WXTerm or possibly Son of Quasimodem by Tom Brown is a very simple terminal program, but it supports Punter, Xmodem/RCR and Wxmodem transfer protocols. 1990-1993 by I.Horvath, crunched and released by Lexi/Fairlight. 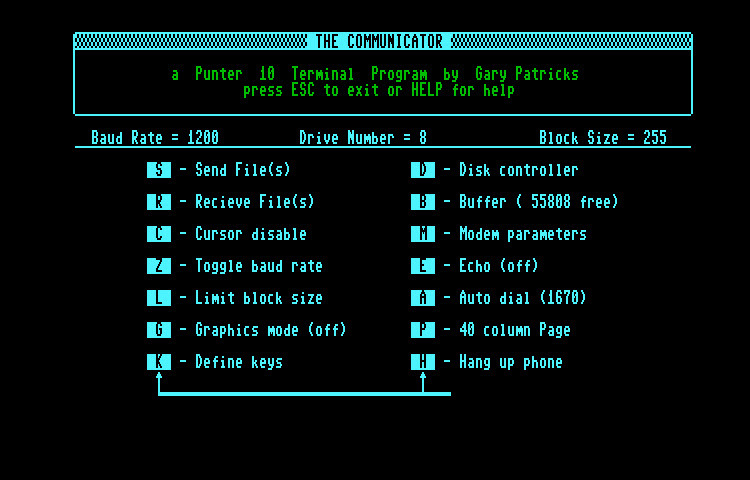 This looks like a really nice 80 column terminal with Y modem batch support among other things. Worth a look for sure. 1986 - Star Tech Software, released by Apex. 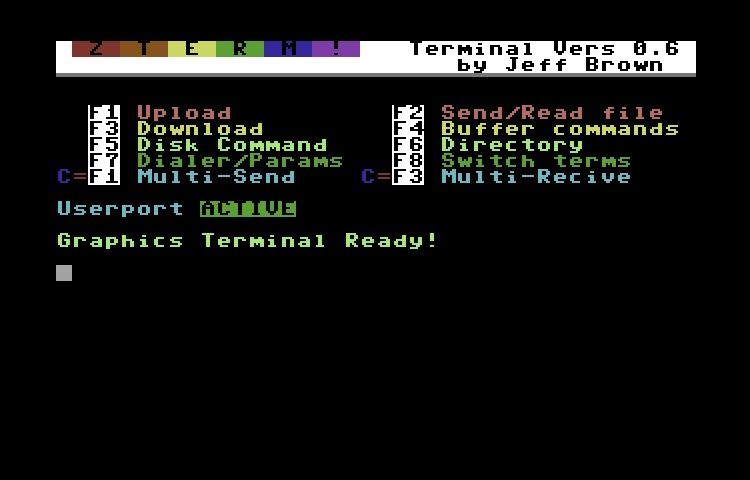 Zterm 0.7c by Jeff Brown is a pure machine language terminal program inspired by CCGMS term. This isn't the newest version, but it's sometimes nice to see how things progress. Written by Jeff Brown and released in 2010. Although this isn't the newest version, I thought it would be nice to have the older version on hand to compare. 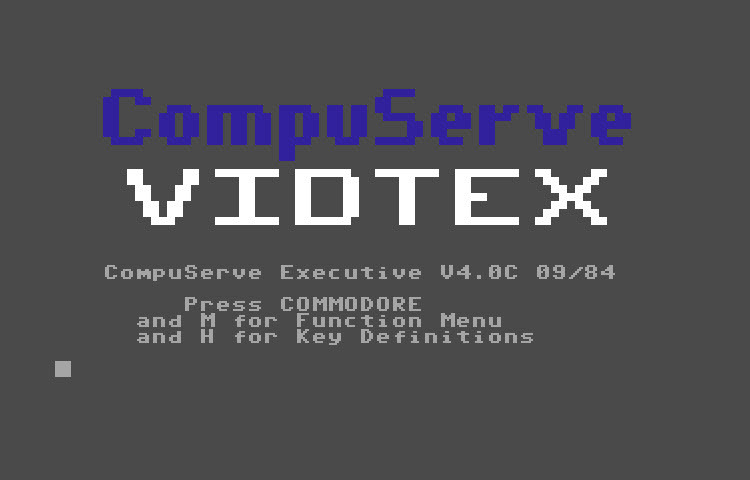 I believe this is the first public beta and features 100% Assembly Language, Swiftlink/Turbo232 support, User port support, Punter / Multi-Punter Transfers (No xmodem or ymodem in this version).